1. What is Pimalai Prestige? 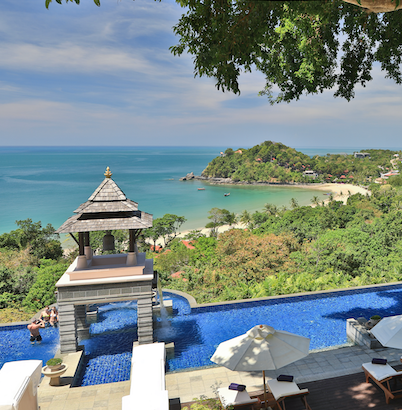 A: Pimalai Prestige is a frequent booking program which rewards member for their booking with Pimalai Resort and Spa. A: You can sign up in our website at www.pimalai.com or simply tick on the tick box “I want to be a Pimalai Prestige member” when you make a booking with us. 3. Does it cost anything to join Pimalai Prestige? 4. How can I earn point and how many point I can earn for 1 booking? A: You will earn up to 1 point for every 50 Baht spent in our hotel and your point will be credited automatically to your account. All you need to do is to present your membership card upon check-in in the hotel. A: You can log in to your account in www.pimalai.com and use your points to exchange points for accommodation or/and use your points against spending at Pimalai Resort and Spa. a. You don’t have enough point for the redemption. In this case, please choose another reward with less required points or earn more to redeem later. b. Your points have expired. 7. How long does it take for the reward point to be credited to my account? Points will take 7 days after your check-out to be credited to your account. Point will be valid for 36 months after the issued date. 9. How do I check my point balance, transactions and redemption?